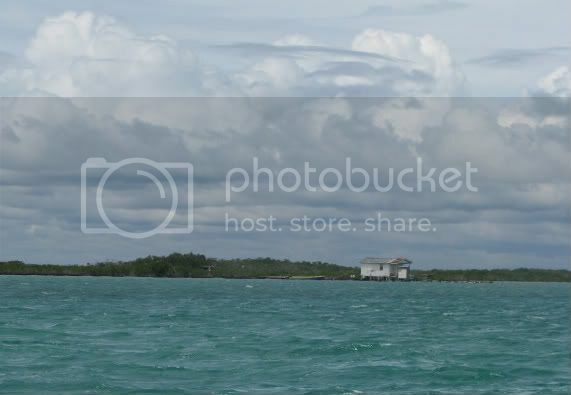 The view from the Belize-Caye Caulker ferry. CAYE CAULKER,Belize--After working hard on the mainland, it was time to discover why most visitors skip Belize City and head straight to the neighboring islands. Our time was limited, so we chose to go to the closest island. After an hour-long ferry ride, we landed in the tiny but lively Caye Caulker. 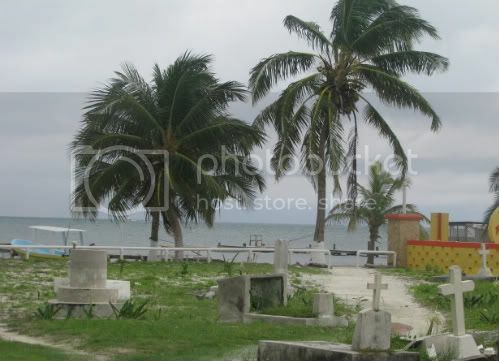 In the 1960s, a fierce Hurricane Hattie hit Caye Caulker and the rest of Belize head on causing the small island to split in two pieces. The chunk that broke of is now preserved land for plant and animal life--it's appropriately called "The Split." 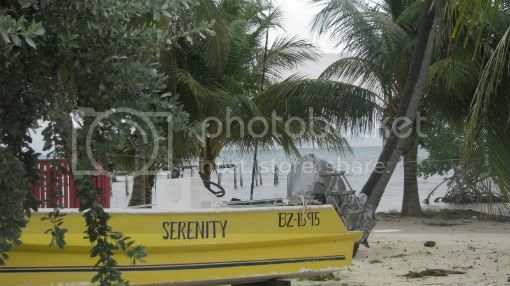 It's easy to lose track of time around Caye Caulker's residents who have a "no worries" attitude. A special treat is that there are no cars on the island only the hum of golf-carts, which you can rent to zip around and check out the entire area. 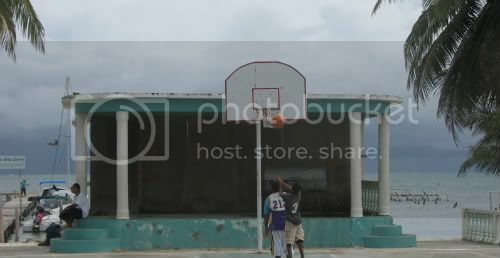 Jeremy says he's never seen a better location for a basketball court--along the Caribbean Sea. Couldn't ask for a better view to transition into the after life. Again, I'm more relaxed by just looking at these. Love the bball court view. Wow. I love these photos! 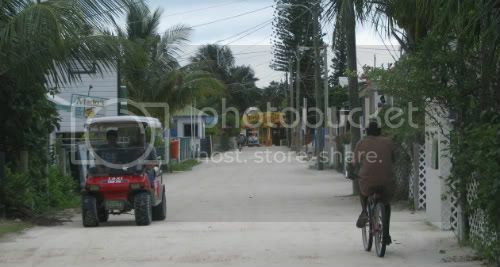 I've been considering Belize as a 2009 destination and am becoming more and more convinced that it may be the place to go! Thanks for checking my blog. I just posted a ton of stuff that I've had on my camera for a while.